Two years ago my mum was diagnosed with cancer. She sat my brother and I down to reveal the devastating news, but it was obvious right? What else could be so important she needed to sit us down but nevermind, it's just something else you're going to have to get over. You do with everything else. You're a rock! Not until my brother asked, "When's your best before date", did it become real. She crumbled. The next six months were tough and probably seemed like an eternity to her. For everybody else they went far too quickly. She hit it head on in the best way she knew how as this was not going to beat her. She put on a brave face and rarely revealed to anyone just how much she was struggling with the treatment. Why worry everyone? Just two days before the fateful day, it all seemed to be going in the right direction. It was like I had my 'other' mum back. Silly me. Just the following day I had my last coherent conversation with her in the back of the ambulance on our way to Thames Hospice. She told me how much she loved us and was going to miss her family and friends, especially my kids Joe and Sam. She was in an extremely distressed state by the time we arrived but she knew what was happening. The staff were incredibly attentive and caring towards Mum's needs. If she had wanted a can of Coke or ice-cream (she didn't drink Coke), someone would have raided their lunchbox to see she had everything she wanted. Anything to make her more comfortable. On the 23rd January 2015, just 24 hours later, she passed. Gone! There is not a day that goes by that I don't think about her. So many memories. She's everywhere. My kids will ask me something and I'll remember the exact time and place where I asked her the very same thing as a child. She was always there for us. Still is I guess. Soooo, I'm on a mission to do what I can to raise funds for Thames Hospice that sent her away peacefully. On the 10th September I embark on a 24 hour, 100km walk she and I talked about two or three years ago. I'm up for a challenge but this seemed so far out of reach I conveniently let it pass me by. But now it almost seems that she's not going to let me forget about it until it's done and I'm not getting any younger. Snapping my fibula 3 months ago hasn't helped, learning today there is likely to be an op. on the horizon, but mind over matter, right? If you would like to sponsor me for my walk or simply make a donation, you can do so at https://www.justgiving.com/fundraising/James-Camplin and I will be incredibly grateful. In addition to all of thaaaat, I have a complete set of DFB Figures that need a home and it occured to me this morning that I could use them to raise some additional funds for the hospice whilst having a bit of fun. Let's run a small competition with all proceeds going to Thames Hospice. Tickets are priced at £1 each and will be available from now until midnight BST on Thursday 4th August. 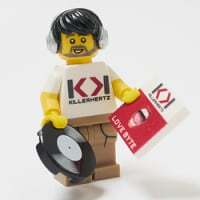 They are available by making a pledge at https://www.justgiving.com/fundraising/James-Camplin and sending me a PM with details. Please be advised that Gift Aid is only eligible to UK citizens making donations. The draw will take place at 8pm BST on Saturday 6th August. 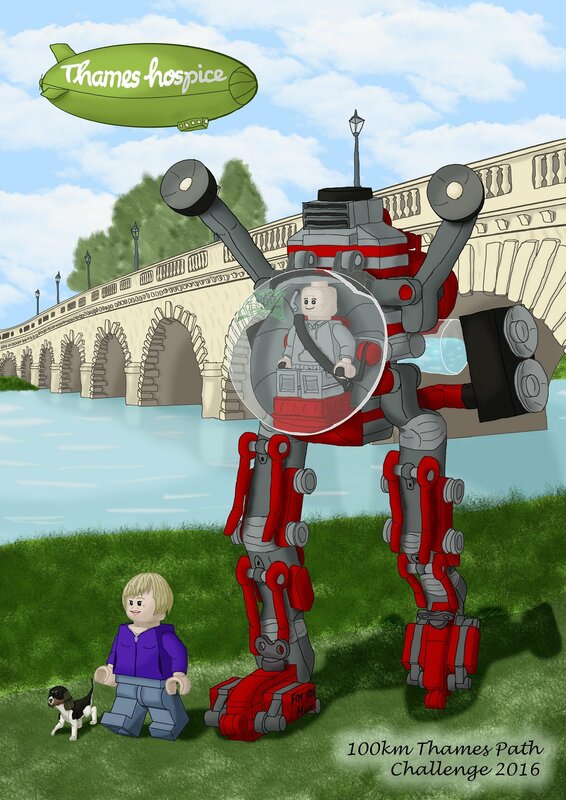 All proceeds are to go to the Thames Hospice (Charity number 1108298) based in Windsor and I will cover the costs of posting the set to you, wherever you may be. Ticket numbers will be allocated and pm'd to all from Saturday 30th July. In the unlikely event somebody hasn't received their numbers by BST midnight Tuesday 2nd August means something's amiss. If you send me a pm I'll be able to sort it for you quickly. Ticket sales close at Midnight BST Thursday 4th August. Donations received after midnight will not be included in the draw. Any outstanding tickets will be issued swiftly. The first winning ticket number will be drawn behind closed doors on Friday 5th August allowing sufficient time for the winner to be contacted and claim their preferred prize from the pot. 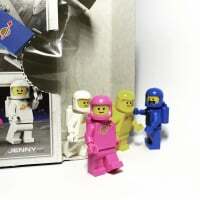 If the winner is uncontactable or doesn't respond to my PM by Midday BST Saturday 6th August, they will automatically win the original prize, being the complete set of DFB minifigures. The winner will be announced at BST 8pm Saturday 6th August after which time we will begin to draw the remainder of the tickets randomly and live, first by prize number picked randomly from one hat, followed by the winning ticket number (or member name) from a second hat. Should a winner be matched with its own prize, the prize will be returned to the pot and another drawn at random for the already chosen winner. After all prize lots have been drawn and allocated, I'll draw up a list confirming the results and it will be for the two members (winner and donor) to exchange details for delivery etc. Please dig deep, just in case I can't walk and thanks for all of your support. James. Due to the generosity within our community, the prize fund has been increased. I wish you every success in your fund raising endeavours James and hope you achieve you goal of walking 100k. Whether you are able to make it the entire 100k or not, your mom would be proud of you, James. As a member of a family that has had way too many health problems (including a few bouts with cancer), I completely understand the importance of an excellent hospital. Not only in their care, but also their attitude towards the patient and their family. 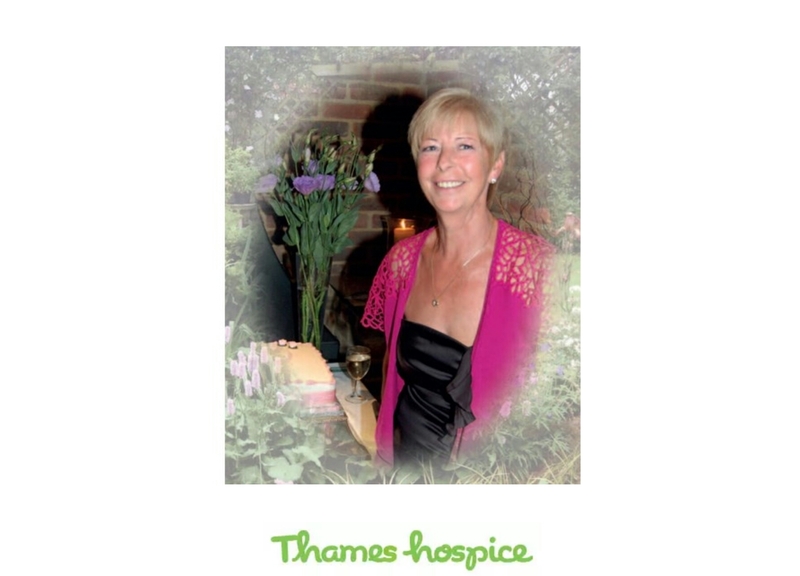 I'm so happy to hear that Thames Hospice fulfilled their role to the absolute best of their ability. God bless you and your family, James! And there was me thinking I'd be better off selling and donating the money. The best of luck with your endeavour. I have lost 4 Uncles and 1 Aunt to cancer in the last 5 years. It is a horrible disease. You can count me in buddy. Also, I want to add a "Winter Soldier" polybag to sweeten the pot :) I have a good feeling that this raffle is going to get bigger and bigger as time goes on. Very much appreciated mate. Thank you. So two prizes for two winners? 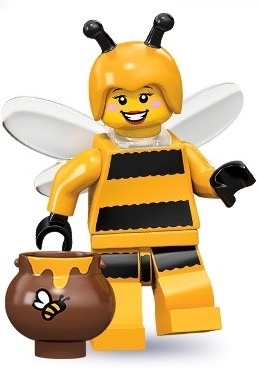 I'd like to offer a sealed Bumblebee Girl minifigure. I understand James' Mum, Marie, loved her garden and her perennials. So in her memory, I offer Bumblebee Girl as another prize. I'll post or get bumblebee girl to wherever the winner is. @Legoboy I lost my best friend of over 20years through cancer, he was only 35 and left his pregnant wife and three daughters. It's a terrible disease and although we don't know each other so it might not mean anything but I'm sorry for your loss and wish you all the luck in the world with you walk. 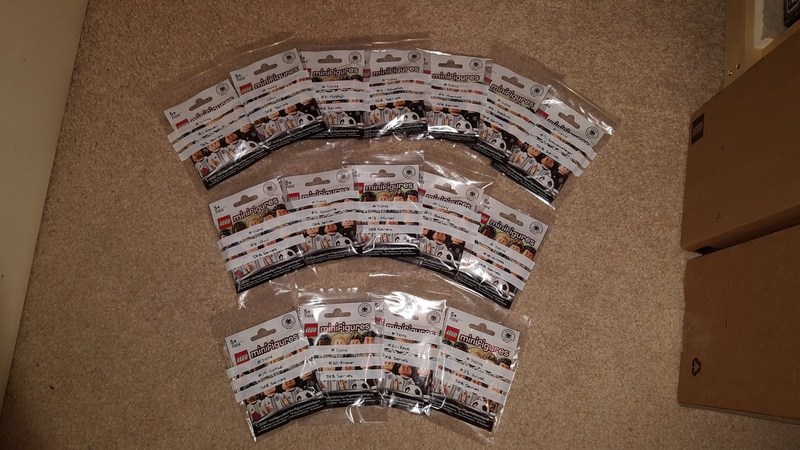 I don't have much of interest but would be happy to offer up some polybags as prizes if it's of any use to you ? 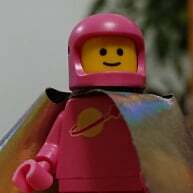 I hope he won't mind me saying this but even though you don't know Legoboy, your kind words and support will mean a lot to him. That's why the like. Sorry to hear about your friend. At any age, cancer takes them far too young. What a touching story. Please put me down for 5 x tickets (have sent £5 by PP). All the very best in your endeavour! I'm sure your Mum would be very proud of you! Ben, I've sent you a pm. Thank you. Frances, that's a very generous offer, thank you. How you know about my mum's garden is a mystery to me. Dad (70) hires somebody to ensure it continues to look just as she left it. I was playing catch with Sam in their garden a couple of weeks ago and grabbed this picture. Everybody that has sponsored me or bought raffle tickets, thank you. In June 2014 I lost my father to Pancreatic Cancer after a long battle, then shortly after that my mother became suddenly ill and died of a stomach cancer just 6 months later. In their last days they were both cared for wonderfully in a local Hospice, and it really did open my eyes to the splendid work these people do and the dedication of the staff - many of which are volunteers. Cancer knows no bounds - my brother lost his wife to thyroid cancer when she was aged only 22, and then he also lost his second partner to cancer. My sister also had cancer in her 50's but is now in remission. We've been touched far too many times by cancer for my liking. It is an awful thing, and I hope our children grow up to be benefactors of the ongoing research, therapies and treatments being developed right now. Supporting a local hospice is such a great thing to do @Legoboy so I've just bought a bunch of your raffle tickets to help the cause. Their work is invaluable. I don't think people have any idea of what they do to help both the patient - and the family, at such a difficult time. Unfortunately most people only find this out having lived through an experience like yours. 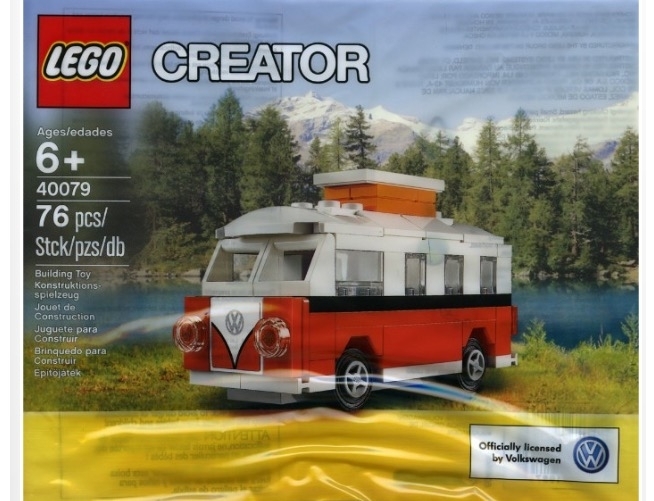 I'll add in another prize to the pool, a #5004077 Target Minifigure Gift Set ok? James, if you are wanting someone to support you on your walk then just let me know and I would be happy to. I will offer for a start the Star Wars force awakens Finn Polybag to the draw. I will have a look around for more that I can offer up too. Cancer is a f**king f**k who can f**k right off. This is a lovely thing you're doing for the hospice, and will make sure someone else's final days are as peaceful as possible. Your mums garden is beautiful btw. Oh, and nearly forgot to say - best of luck with the walk! I know you are trying your best to get to peak fitness for your walk and regrettably things aren't all going to plan. But keep up the good work! Nice idea to do a raffle on top and great to see the wonderful community spirit pulling together. I'd also like to offer a winter soldier and a polybag or two if you would want to split the prizes up into a couple of lots. If you make it into one big lot I'll substitute the winter soldier for a Disney CMF. Good luck on the walk and the fundraising. A little shocked following the events of today. Thank you to not only those that have either bought tickets or donated, but also to those that have offered their own prizes to help support the cause. To help keep a tally I have included a list of prizes below as well as updated the original post. @legoboy - I've just sent you a payment for 5 tickets. I wish you the best of luck with your recovery. I've just spent the last 3 months recovering from a fractured femur myself; I snapped it neatly in two on 15th April and it's been one of the most frustrating spells in my life. The NHS has been brilliant - and it's all looking good, but I'll need to be monitored for another 18 months just to be sure. Having participated in 100km/24hrs walks before, i know these are tough. Can't even imagine doing it recovering from a snapped fibula! And echoing @Pitfall69, this community is awesome! And another £5 from me. Good luck with this. Having lost a work colleague in the last few weeks to lung cancer and having a cousin who is, at the moment, successfully fighting bowel cancer this is something that resonates deeply with me. I've sent a donation plus bought 5 raffle tickets. I'd also like to offer a copy of the Lego Justice League Gotham City Breakout Blu-ray with Nightwing minifgure as a prize. And best of luck with the walk. Lovely garden, a credit to your mum and I know you miss her, I could't imagine life without mine. 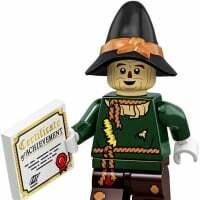 I have sent you a donation and please add another prize of a voucher for £10 of Lego from my Bricklink/Brickowl store of Central Bricks. I will pick up the shipping cost. I have very fond memories of that weekend. Really hope the BS staff can pull off another visit. That was such a heavy weekend, wrong on so many levels in part. I'm laughing in my head as I write @princedraven. So funny. I'm not sure what we were laughing about in that photo but it made me smile when I saw it tonight. 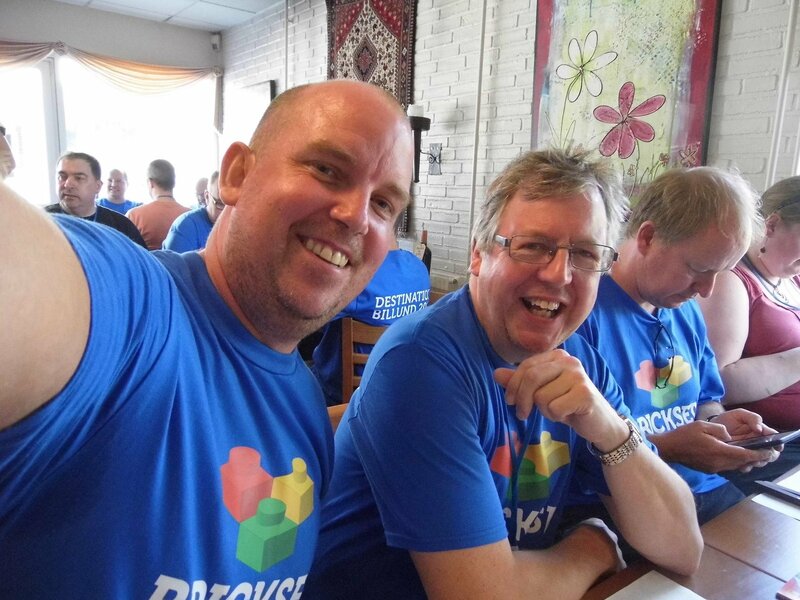 Looks like that was at the Monday lunch in downtown Billund? Nice to see the others catching up on Brickset on their phones! Great photo whoever took it. Just to update you with the current list of prizes. Go for it. There's always someone you don't like you have to find a present for at Christmas. I think it's time for another prize. 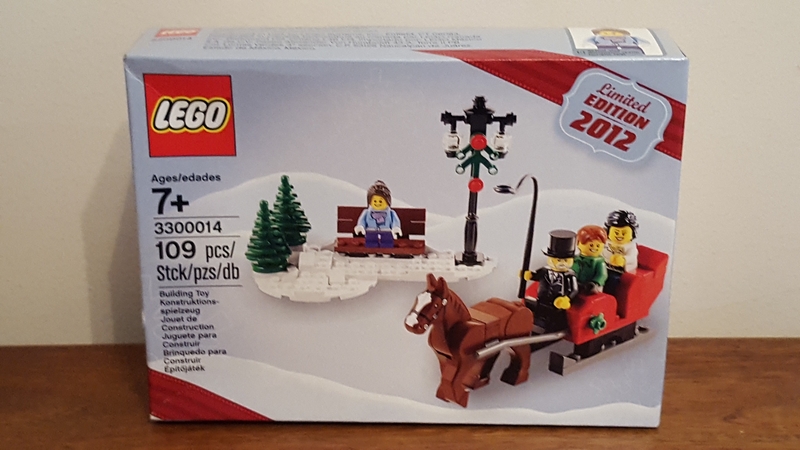 Is there a wrong time of year to be winning a #3300014 2012 Christmas set? 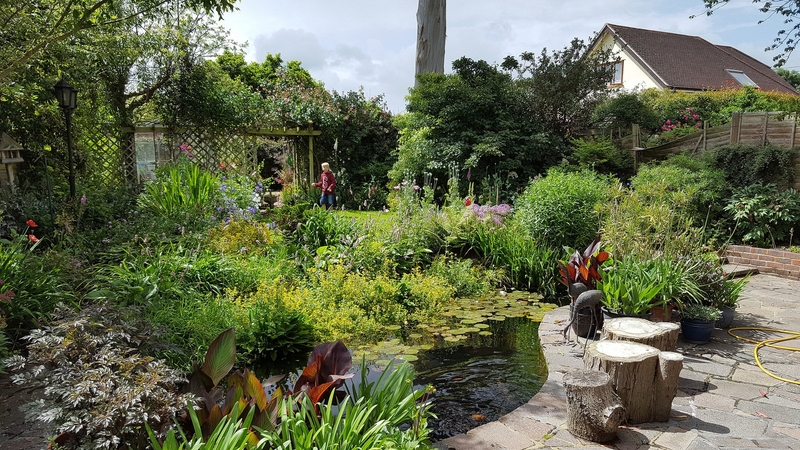 What a truly beautiful garden - just sent a little something your way. This is a fantastic thing you are doing. I'd like to add Star Wars minifig sw097 Chrome Stormtrooper (sealed) to the prize fund. I've lost family and friends to cancer over the years so happy to 'do my bit' . Will purchase some raffle tickets too. Good luck with the walk. just sent £5 via Paypal. Excellent work @Dexscotland. Thank you for your donation and also your generous prize offering. Good stuff. 5 tickets bought. Mom, dad, and grandpa all left us due to cancer. Sent £5 via Paypal from US. My dad had hospice his last month with ALS - 2010. Can't believe how much time passed since it seems like just yesterday. The level of support that's been shown has come as a bit of a surprise to me, firstly by the number of ticket sales but also in terms of the value of prizes donated. Completely unexpected. Since the prize fund is continuing to grow however, I figured it was necessary to apply some additional rules to the raffle. Raffle ticket numbers will be allocated and pm'd to all from Saturday 30th July. In the unlikely event somebody hasn't received their numbers by BST midnight Tuesday 2nd August means something's amiss. If you send me a pm I'll be able to sort it for you quickly. Ticket purchases and prize donations will be accepted through Thursday 4th August but must close at BST midnight. The first winning ticket number will be drawn behind closed doors on Friday 5th August allowing 24 hours for the winner to be contacted and claim their preferred prize from the pot. If the winner is uncontactable, they will automatically win the original prize, being the complete set of DFB minifigures. The winner will be announced at BST 8pm Saturday 6th August after which time the remainder of the winning tickets will be drawn live, first by ticket number followed by the prize drawn at random. Should a winner draw its own prize, the prize will be returned to the pot and another drawn. I hope all is clear and again I thank everybody for their support and generosity. I'd be lying if I denied shedding a tear already. 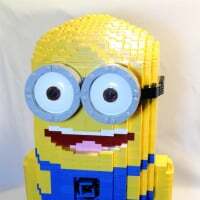 This is a great thing you are doing @legoboy. If it's cool i would like to add a sealed flower cart poly #40140 to the prize pot. I'd like to offer another prize in recognition of this 100km in a day that James is undertaking. Good effort you two. Thank you. New rule, Friends prizes are banned. I've bought some tickets (or so I hope)--what an excellent cause! Just attempted to send 5 GBP your way. Cancer has greatly affected my family. I wish you the best of luck with this raffle!